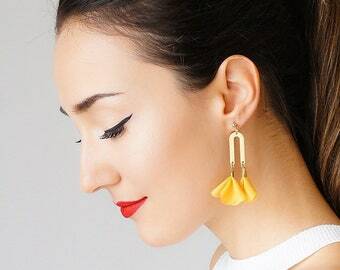 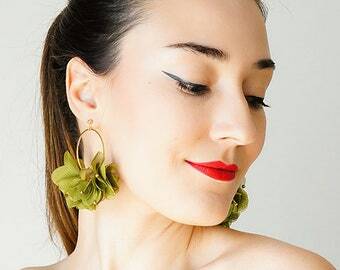 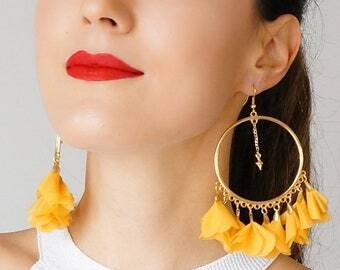 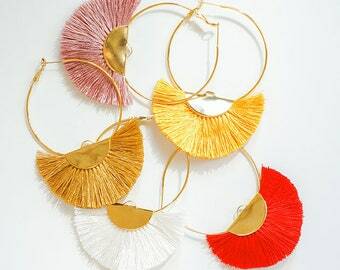 Brighten up your outfit in seconds with these colorful floral hoops. 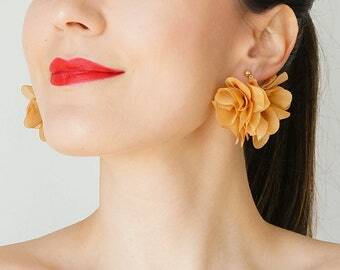 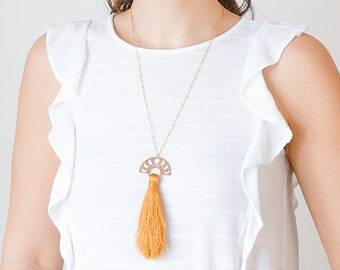 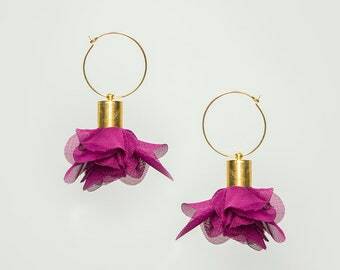 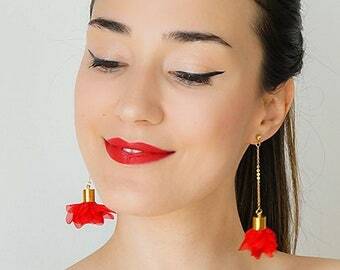 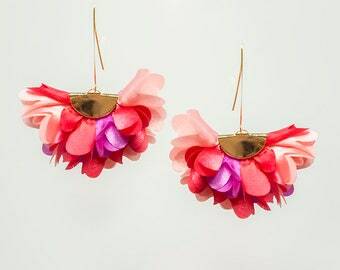 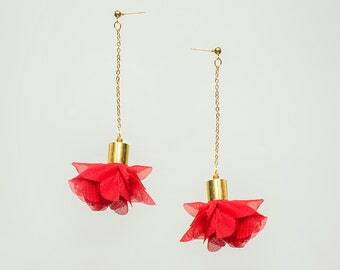 Made of chiffon flowers with gold plated details. 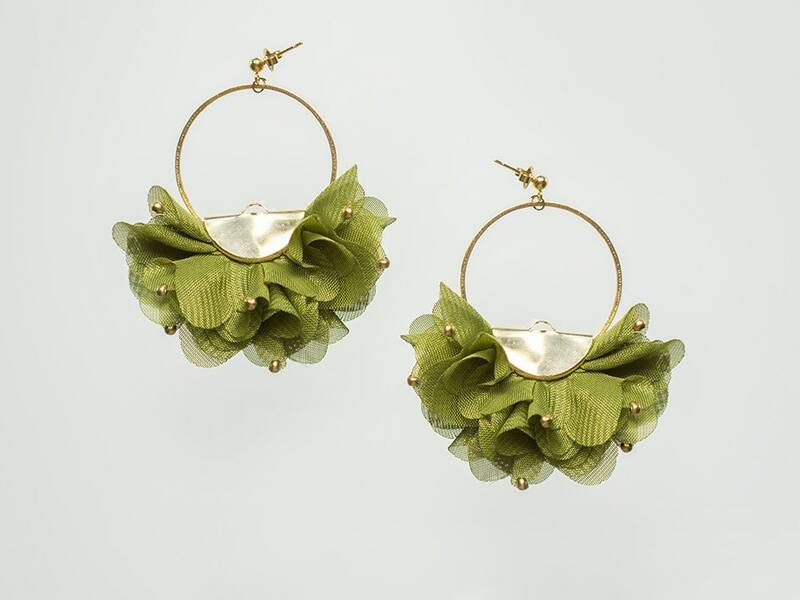 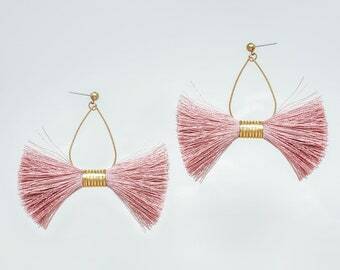 The khaki earrings (not no. 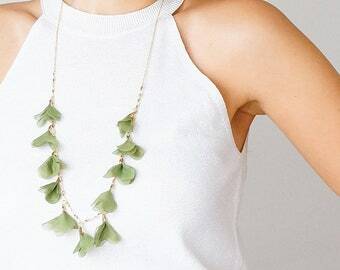 27) on the photos are available and please not me at checkout if you want them.